I find it especially hard to decorate rooms for young boys. I decided to go English with my son Preston’s room. Turn-of-the-century leather-bound books add patina and are great for stacking and placing props on. 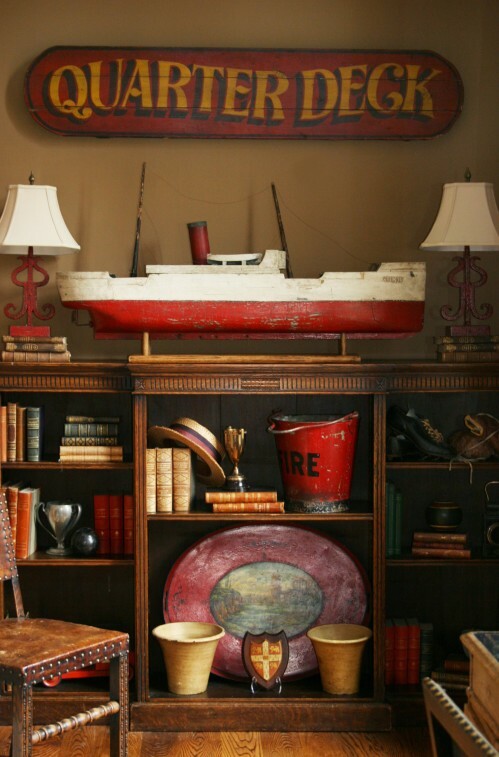 Vintage signs and ships add great color as well as texture. 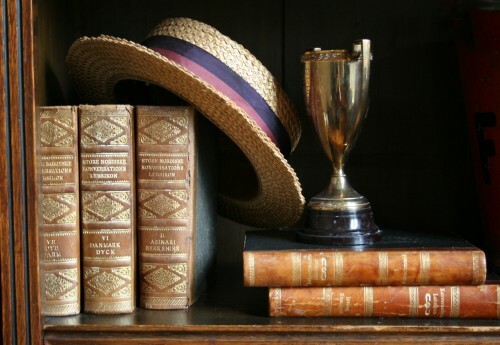 Old trophy’s are great vases and the silver finish is nice with antique book bindings. I cannot imagine anything more glamorous than a dressing table. 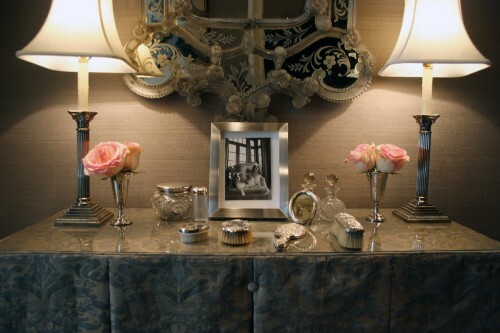 I love to collect vintage silver and crystal, and what better way is there to display them than on a dressing table! The fabric is from Fortuny, truly the most fabulous fabric there is. Fortuny is hand made fabric from Florence and only looks better with age. 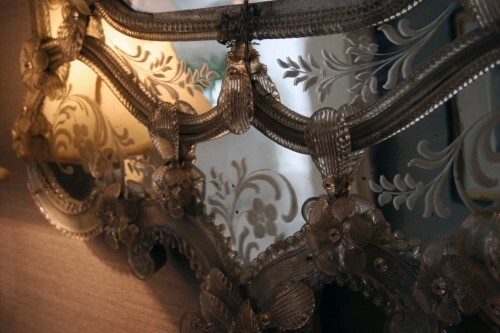 The mirror is venetian and the walls are covered in raw silk. The lamps are made from antique silver candle sticks I purchased at a flea market.